My daughter, Janna makes this Healthy Winter Fruit Salad each year for Thanksgiving and Christmas that her daddy simply enjoys every time she makes it. 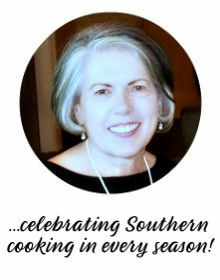 Because of her diabetes, she is always looking and developing recipes that are healthy and delicious at the same time. This fruit salad is delicious by itself, but you will want to drizzle the Agave Lime Dressing over it to capture all those wonderful juices from the fruit. Janna has a real eye for delicious and healthy food and is always calling me and letting me know some of her ideas. She has this wonderful recipe for a Berry Granola Trifle that is a morning ritual for her breakfast that I will be sharing later! In a small bowl, mix together agave and lime juice; set aside. In a large bowl, add the follow in the order listed. Slightly toss them being careful not to smash the berries. Just before serving drizzle with agave mixture. 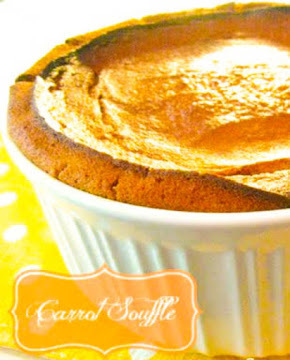 Serve with whipped cream if you like. 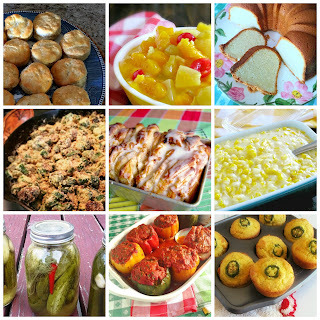 Follow along for some more fun linky recipes here! I love fresh berries and this looks really good! What a GORGEOUS salad! Thanks for linking up to Weekend Potluck! 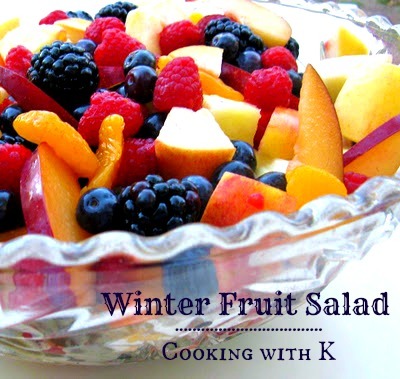 Kay, we just love a great fruit salad in the winter and this one looks delicious! Thank you so much for sharing with Full Plate Thursday. Hope you have a wonderful week end and come back soon! 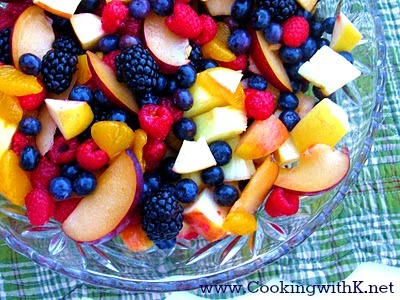 I love fruit salad....Thanks for Linking up @CountryMommaCooks….Have a wonderful weekend! Healthy or not - this is a wonderfullllllllll salad! YUM! I am so gonna make this salad this week! Ohhh...que hermosa y refrescante me encanta un postre para mi diario,luce absolutamente bello,abrazos hugs,hugs. Yum it looks soooo good! Especially cheerful for the cold winter days.